I received a bunch of emails asking about the channel flows chart that appears in yesterday’s blog post. That version had numbers corresponding to chapters in our new 2016 Economic Report on Retail, Mail, and Specialty Pharmacies. Below is the full version of the chart without the chapter numbers. I also provide a PDF version and some additional background. Feel free to use this chart to help others understand how money and product flow in the U.S. pharmacy distribution and reimbursement system for patient-administered, outpatient prescription drugs. And tip your hat to Mr. Goldberg for dreaming up this system. Details below. Product movement, which traces bulk shipments from pharmaceutical manufacturers to the drug wholesalers that supply pharmacies. A pharmacy marks the final step in which a prescription is dispensed to a patient. Financial flows, which transfer money from third-party payers to Pharmacy Benefit Managers (PBMs), who in turn reimburse pharmacies. Funds flow to manufacturers via pharmacies, which purchase drugs from wholesalers. Funds flow from manufacturers in the form of rebates to PBMs, which share a portion of these payments with plan sponsors, reducing net prescription costs. Manufacturers’ rebates to PBMs and other third-party payers do not flow through wholesale or retail channels. 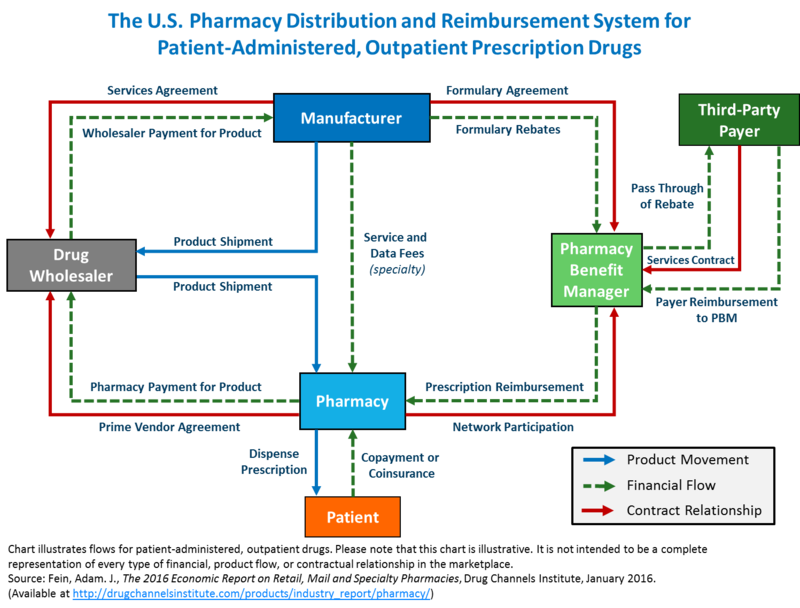 Contractual relationships, which govern the relationships between: 1) payers and PBMs; 2) PBMs and pharmacies; 3) pharmacies and wholesalers; 4) wholesalers and manufacturers; and 5) manufacturers and PBMs. Click here to download the chart as a PDF file. P.S. 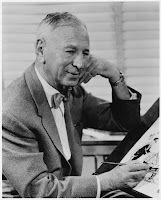 Today's blog post is dedicated to Rube Goldberg (pictured above). He was known for the Rube Goldberg machine—"a contraption, invention, device or apparatus that is deliberately over-engineered to perform a simple task in a complicated fashion, generally including a chain reaction." In other words, Mr. Goldberg is the patron saint of the U.S. healthcare system.